The event I have been looking forward to for over a year. A chance to see where my limits are and push past them. Here is my long winded most of the details account of my day at Leadville with video, photos, and words. 1. Did I finish? No, I made it to mile 52 after the cutoff time. 2. Am I happy? Yes, found out how awesome my support system is and saw the entire length of the course. 3. Will I do it again? Yes. The Leadville 100 Mile Run is nothing to be taken lightly. It is 100 miles on foot in less then 30 hours. If this was just over a flat course down the road it may be no big deal. You could tune out and shuffle along. Not in Leadville. 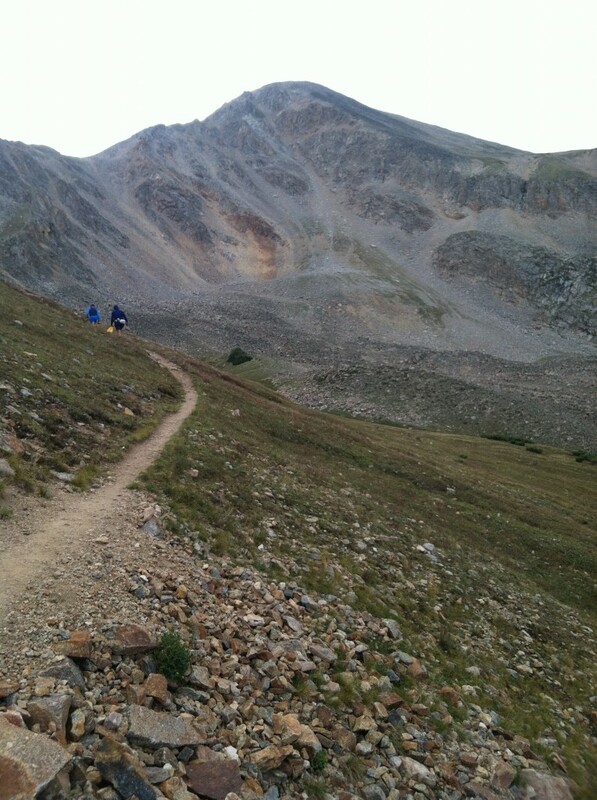 Over 16,000 feet of climbing, quick elevation gains, and altitude that can make anyone’s head spin. Going downhill is just as tricky as going up with single track trails over loose rock. Dig deep and then dig deeper. Derek on my crew response to that: Dig deep enough and you can bury yourself. How little did I know that was possible. Packet pickup was the normal simple routine of an ultra. Anyone that has run a marathon in the past few years knows the chaos of packet pickup, long lines, and being shuffled through vendors tents. Ultras are the opposite. Less people, less lines, more appropriate vendors that you really want to see and talk with. For a 100, they also weigh you. This is critical so that during the race, the medical staff can track dehydration and fuel loss. If I lose 7% of my body weight (11 pounds) during the race, I am immediately pulled off the course. That’s probably a good thing because if I lose 11 pounds in a day, something is seriously wrong. We unloaded out of the car, applied sunscreen in the dark, layered up the clothes (39 degrees at start! ), and made several trips to the bathroom. I was feeling a bit out of it. It could have been lack of sleep, nerves, doubt, or all of the above. 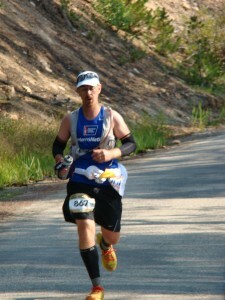 The day was actually here that I would be taking on one of the top 5 hardest ultras in the world. Ok, now I’m starting to see why I was feeling out of it. 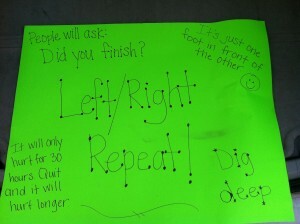 One of the many aspects I love about ultrarunning is the community. There is some sense of competition between one another, but for the most part, we realize that we are really competing with ourselves. We are out there to see how far we can push it and then push it a little further. Everyone is willing to help one another to get us there. With headlamp on and gun fired, it was time to run in the dark for a few hours. Heading down the road, there were a lot of people running fast like this was a flat marathon. It amazed me a bit, but I held back and did my thing. Everyone trains differently and has their own strategy. I was going to be doing this all day, then I should probably reserve a bit. I made it about .8 miles in before stopping to pee on the side of the road. It was an awesome sight looking back up the road and seeing a stream of lights bouncing along. There were no other lights but the ones we were all carrying. Running through the woods Shane caught up with me. 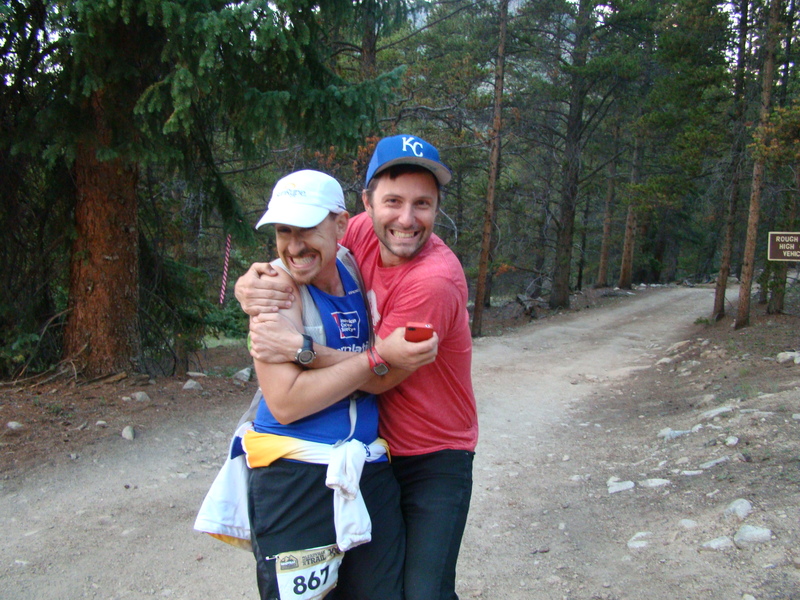 We had chatted at a couple races before and seen one another on the trail. We briefly talked about work, kids, and what the day had in store. 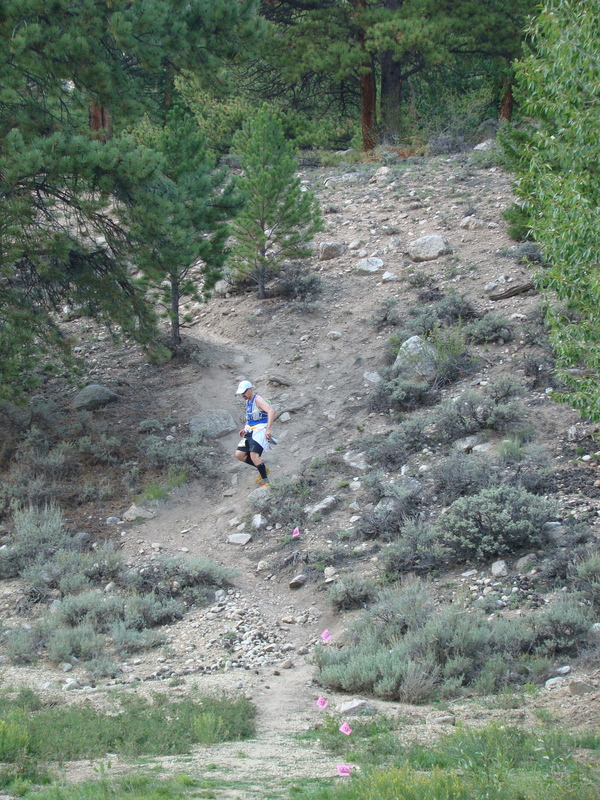 The course was mostly flat or downhill so far, which made me feel better about the first aid station cutoff time. I knew I would be chasing those cutoffs all day today. Being in the dark with a few hundred friends is a blast. Looking up at the sky and seeing brilliant stars while trotting through the woods seems to melt away any life challenges. It wasn’t long before starting to run around Turquoise Lake. This brought with it the smell of campfires. Immediately I wanted a s’more, but none were available. The trail was rolling with a few areas of rocks, but I was lucky enough to find some holes and roll my ankle 3 times. Only once was it bad enough that I was hoping. That had to be a funny site … some guy with a headlamp hoping around the woods on one foot. Yeah me! Coming into Mayqueen at mile 13.5 I was still a bit out of it. A little chilled, soreness already, and stomach issues. All of it I told myself was normal and said get ready for a long day. I went up to Tanya and started handing her stuff as I mumbled things out loud about “deceptively downhill flat fast course” and chewed on a Twizzler. Watching the video back of it I could tell I was starting to lose it already. I don’t think I was at the aid station for more then 2 minutes which was a goal of mine. 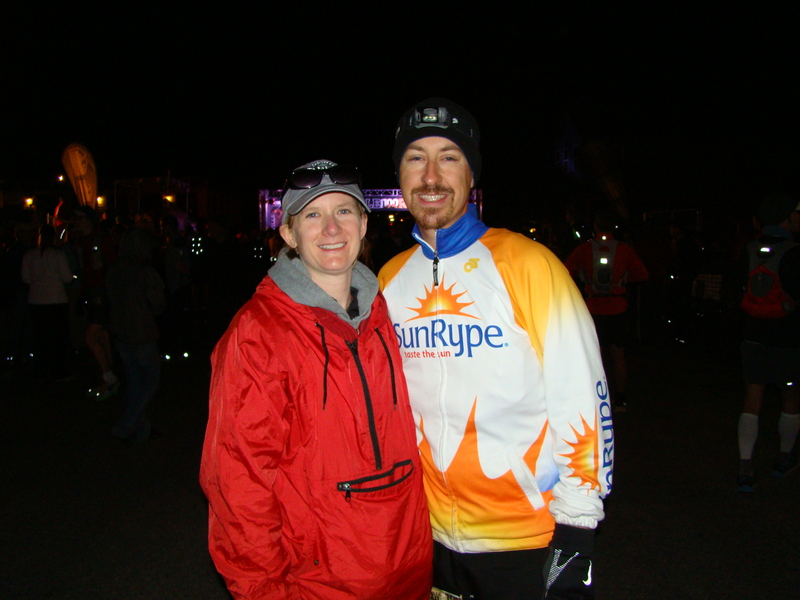 As I left the aid station I realized I hadn’t given Tanya my headlamp or trash that were filling my pockets. The goal was to have her count the calories based on the empties I gave her. Oh well, what’s a little more weight to carry for 10 miles? Ugh. This was my favorite part of the course. It had the first real hard climb in it, but I made a few friends along the way. As I was climbing up and up, I kept thinking back to Silver Rush and how this course didn’t seem as hard. I knew I may be changing my tune when I arrive to Hope Pass, but for now, this wasn’t all that bad. I ran with a guy named Rick from Raleigh, North Carolina for a few miles. Great pace, great conversation, and great guy! Heard about his training, injuries, and pushing himself a little further each time. This leg also included the Powerline section. It was kind of cool to listen to the buzz of the powerlines next to me as I trotted along. Then I got to descend big time! I went into ninja mode and bounced down the trail which felt great! Was so nice to go from a 16 minute mile climb and to 9 minute mile downhill. At this time the temperature had climbed into the 70’s and the sun was making itself known. Coming into Fish Hatchery, I was feeling like myself finally … that only took 5 hours of running. 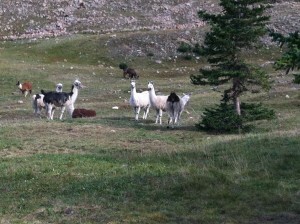 As I came over the hill I saw my crew and started waving to them. This was my signal that I was feeling alright, even though the thought of eating made me nauseous. In fact, anytime I reached for a gel or waffle I immediately went into dry heaves. I hadn’t even opened the food or touched it before getting ill. To combat this, I would talk to a tree while my hand inserted food into my mouth. Before my brain knew it, I had consumed a couple hundred calories. Oh brain how silly you are. I knew this was going to be a challenging leg of the course for me. 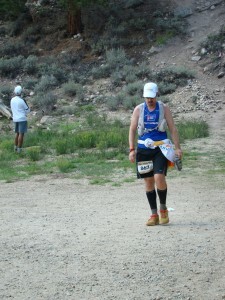 It would be another 16 miles before I saw Tanya again at an aid station. Time seemed to drag by. Leaving the aid station was about a 3 mile run on the roads. Cars coming by at a close proximity and the shear open exposure to the sun. There is also the mental piece of seeing a few miles ahead of where you are going. Knowing that you to get to that point and the slowness it appears to be moving towards you. Rounding off the road and back onto the trail, I met a guy named Chris. He’s in Air Force and flies F-22s up in Alaska. Was great to chat for a couple of miles and hear about his adventures. Coming up on the Halfpipe Aid Station at mile 30 (no Crew access), a couple volunteers were 100 yards ahead to get drop bag numbers. Volunteer: Want a drop bag? Me: Do I get to choose from any? They laughed, runners around me laughed, I laughed. Good signs that I still had a sense of humor in me. Me: A venti ice carmel frappucino please. Volunteer: Wouldn’t that be awesome! But we just ran out. Another aid station volunteer came over to me and said I was looking a bit red, so started applying sunscreen. That was probably a good thing or I would have been severely burned over the next few miles. There was a sign that said 9 miles until Twin Lakes. Doing the math, I knew I could get there in plenty of the time before the cutoff. Excitement and joy returned to me! Around mile 35 I decided that it was time for music. I was losing track of time and distance, thinking that I should be getting to where I was going faster then I was. The music was needed just to push me down the hills. As I was descending down one of said hills, I came across a man on a rock. I asked if he was okay and he said he had rocks in his shoes. For whatever reason, I serenaded him with “Call Me Maybe” … I apologize now if that is stuck in your head. About halfway through that song, tears started. I pictured my daughters dancing around the house singing. For whatever reason, a wave of emotion just flooded over me. Tears. I talked out loud to myself asking what was going on. I had just been laughing 7 minutes ago and now I’m crying on the course. What is going on?!?! 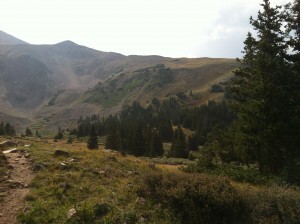 A few more miles downhill and I could hear Twin Lakes aid station ahead. My legs and body hurt. Clearly my brain hurt as well. It is clear from the photo that I did not want to continue on. I had just gone through an emotional 16 miles of excitement, tears, anger, and denial. 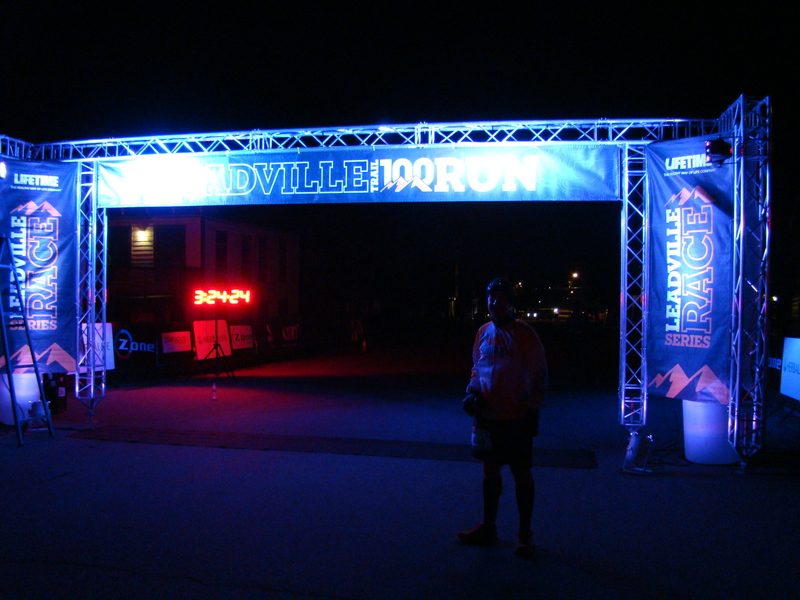 It felt like I was the last person in the race and was running alone. 98% of all my training is done alone, so I’m not sure why this was even a bother for me. I was not in pain, a little tight in the hips, but no pain. The energy was gone. Watching this video now, Tanya pointed out how she was intentionally ignoring what I was saying. She was just letting me talk it out and knew that I would come to a decision. There was no chance that I was quitting this race. If my day was going to be done, it would be the cutoff times that would do me in. We even had duct tape at the ready to make splint should I break a bone. Tanya also started reading to me comments people were making on Facebook. Everything from knock knock jokes (thank you Ann!) to notes from people back east I went to high school with. Just get to the next aid station. Coming out of the Twin Lakes aid station I ran into Courtney. She is always one for kind words and one of the nicest people I know. Looking back now I don’t think I was very talkative and in a complete funk. I was just sort of stumbling along. Wow. There are few times when I’m caught off guard and this was one of them. I hadn’t even recalled what I was wearing or what was happening. As part of my journey to Leadville, I have been able to raise over $2,000 for the American Cancer Society. During the race, I was wearing my shirt from them. “Thanks and just trying to do my part.” is about all I could muster out. That felt good though. It gave me renewed perspective on why I was here. I was here to get people to pay attention so I could tell them about people who are really having a hard time. I chose to be here and put myself through this … people fighting cancer did not ask for that fight. He was cranking right along! Not far behind him was another runner with their pacer. It amazed me how they were just having an easy conversation as they ran by like a tiger was chasing them. Watching Anton fly by me gave me a little push. After another mile I made it to the river crossing. I’m told that last year this river was up to the waist. This year it was about mid shin on me. The cold water took away the pain stinging my feet and legs. I also kept telling myself, and anyone else within earshot, that the water had magic powers. That lasted me about a mile until I saw the climb that was in front of me. I knew that the next few miles were going to be the test. If I had to give myself a grade, I would say D+. Every turn I took seemed like the previous half mile. It was up. As I was climbing up I had conversations with people that felt the same. Holy crap it just keeps going. There were some things that spooked me. I kept moving forward and came across a lady surrounded by 4 people. One was on the phone talking to medics. The lady was on the ground covered by a space blanket and her face was a pale blue. Someone was talking to her trying to keep her conscious. She looked catatonic. A little farther ahead a guy was walking side to side looking at the ground mumbling about dropping something. Race volunteers were trying to get him to respond to them, but he just kept mumbling. Another .5 mile a lady was laying on the side of the trail talking to medics about all the meds she takes and had taken that day. Wow. I was doing fairly well if my only problem was lack of energy and drive. Well my friends, that’s the precursor to what these other runners ended up with. Well I guess I had better stop stuffing my face and get moving. That’s how I met Mike. 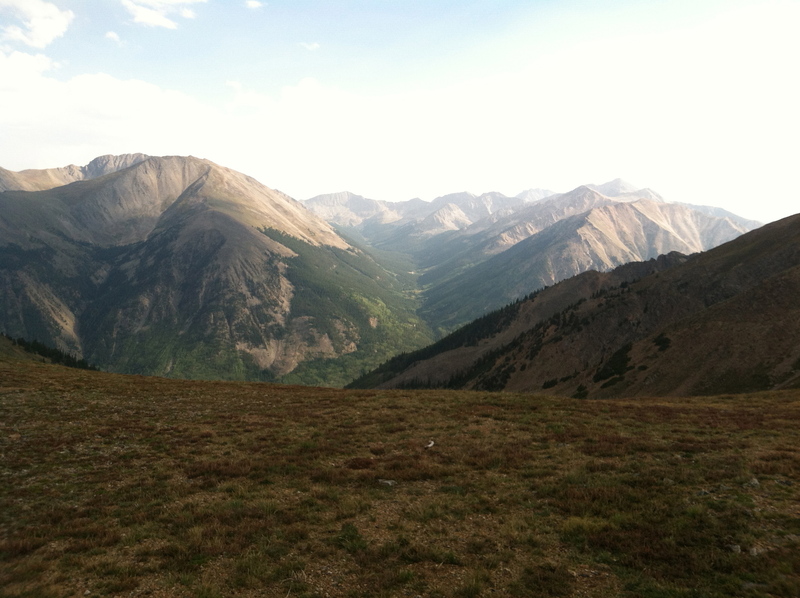 We chatted all the way to the top of Hope Pass. 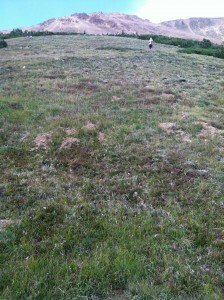 As I came into the meadow at the top, there were several volunteers there to greet us. One asked how I was doing. 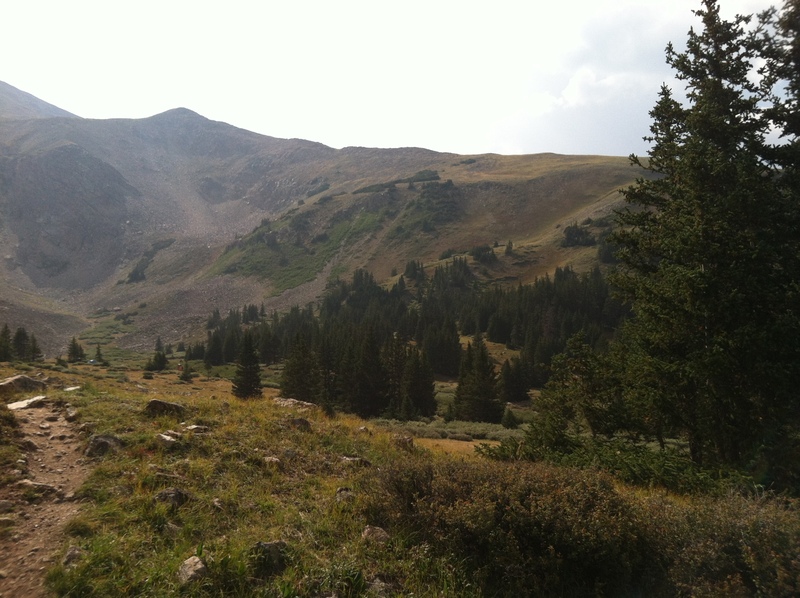 Me: Uhhhh … well the mountains are spinning a bit, I hurt, and feel like throwing up. Volunteer: Why don’t you have a seat over here and I’ll get someone. Next thing I knew a medic was now talking to me. He reviewed what I had just said and brought me an assortment of food. Pretzels came back out as soon as I put them in. The magical concoction that helped was raman noodle soup with mashed potatoes mixed in. Yum freaking yum! After about 15 minutes of sitting, eating, and talking with others, I had the conversation with the medic. Me: So if I am not able to continue what’s the plan? Medic: Well, the only way down is on foot. Me: Wait, so no matter what, I’m walking down this mountain? Me: Okay, which direction should I head? Medic: Well, moving forward is up .5 mile and then down 5 miles into Winfield which is where your crew is. It’s just up around that bend. 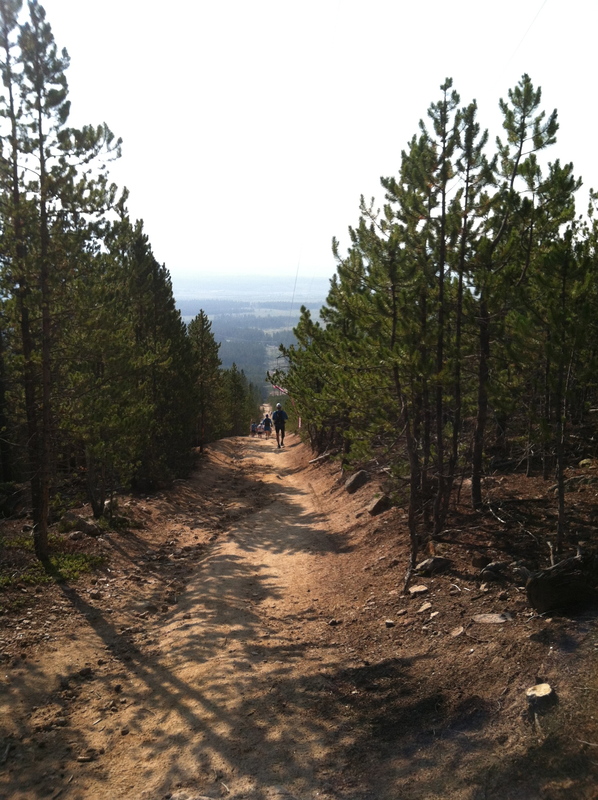 However … around the bend were 4 more bends of switchbacks going up. And up. About .25 mile from the top, it started raining. That was just cold. Doing the math I knew that I would have to crank out 10 minute miles downhill to hit the cutoff time. Pretty sure that wasn’t going to happen. As I’m descending other runners are ascending. They were looking exhausted, so I made sure to step out of the way. Oh wait, there was no room. 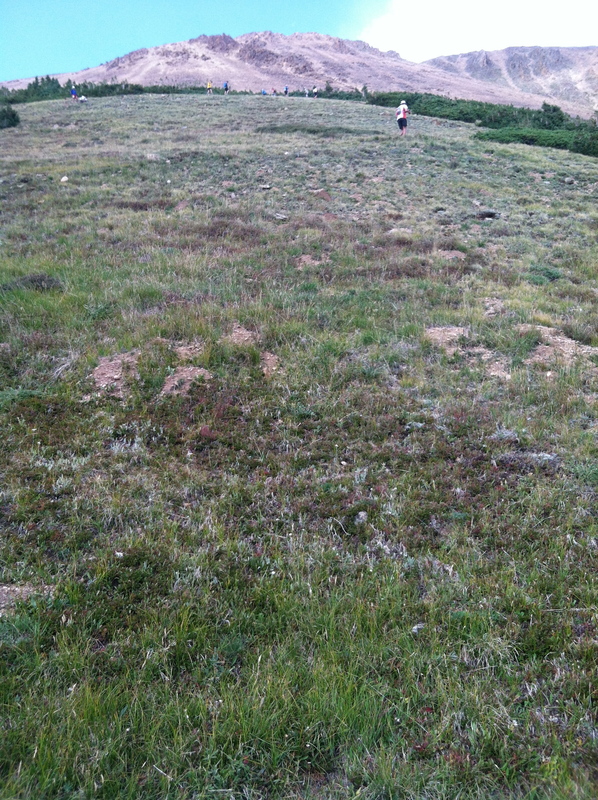 The trail was slanted and loose so staying on the mountain, literally, was a challenge. This photo is halfway down the pass and I’m holding the camera vertical to give you a feeling of the grade of the climb. Enjoy that from your comfy chair please. Us: (pointing at them) Great job! Them: How about a beer? Us: Well, we’ll have that in about 2 hours. We had our sense of humor, we made people laugh, and that was all we could ask for in the situation. Towards the end of the trail I found Tanya looking for me. When I was at the Hope Pass aid station, I had the volunteers radio down that I was shooting to be at Winfield by 6:30p. 15 minutes after the cutoff. I knew that my crew would get the point. After we strolled down the trail, we ran into Derek waiting at the trailhead. 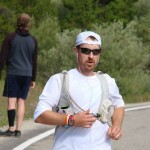 After that, met up with Jamie who was going to pace me for the 50 miles back. He and I did the Silver Rush 50 together. After now knowing what he would have had to pace, I apologized to him profusely. Holy crap would he have hated me forever for that. Me: Wow. I really smell. Jamie: Yes you do. But you have a good reason. 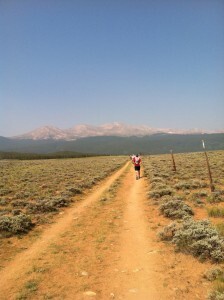 Much more will be written about my experience at Leadville. While I didn’t get a buckle, I am happy with the day. The amount of knowledge that I gained in one day about myself, my support system, and the people that I impact, has changed me in some way. It’s nothing I’ll be able to put into words immediately, but the emails that I have received through this site and Facebook drive me to keep going. 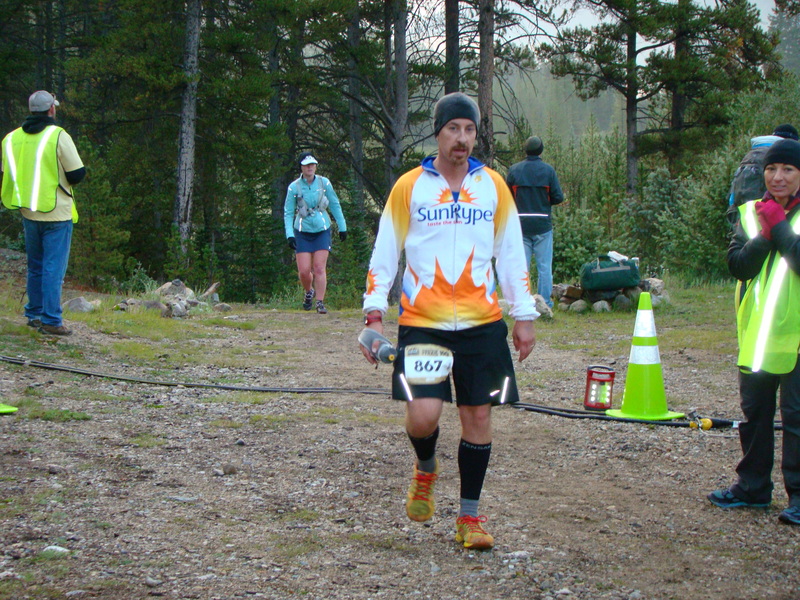 For some, not making it to the finish line would be a devastating blow. No way. I am excited and can’t stop smiling about it. 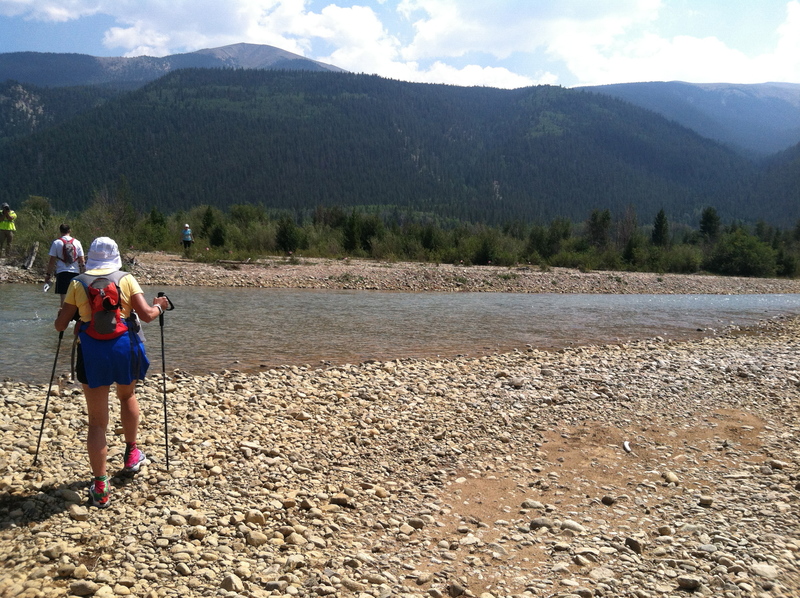 One of the reasons I give about why I wanted to run 100 miles is that I wanted to find my line of possibility. I now know where that line is. Now that I know where to find the line, I can move it. Just because something is hard does not mean don’t try. Really, don’t make excuses. Go after that promotion at work, talk to someone new, find out the person’s name that hands you your coffee … do something new. Pick a day and let that be the day where you act like someone else. It is inside you. Take that first step. It doesn’t have to be 100 miles, it could be just having a conversation for 20 seconds. Dig deep and do more then you think you can. 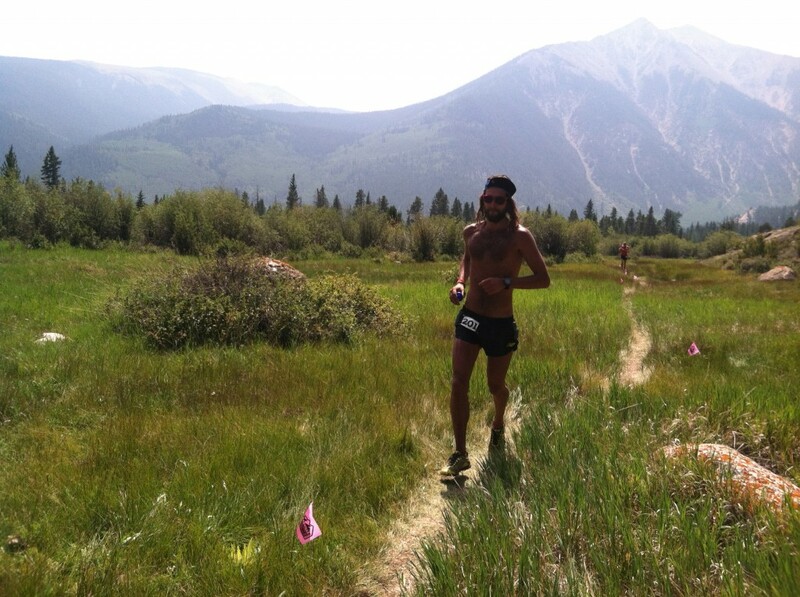 Hi Alex, Congratulations on a tough and wonderful day in the high country!! You don’t know us, but we have Amanda and Wyatt Burton as mutual friends. 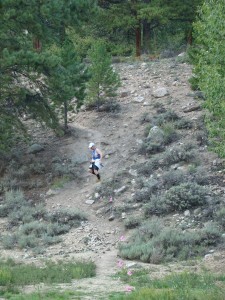 My husband, Ryan, was also on the LT100 course last weekend. Last year he was in a very similar situation to yours (he was cut at Half Pipe on the return due to arriving too late). This year he finished with only 30 minutes to spare. I know you’ll do this race again and the fire in your belly will carry you through the year of training and a successful finish next year. Congrats on raising money and awareness for a great cause and for going beyond what you imagined you could do. And, all with a fabulous positive attitude and sense of humor. Thank you for sharing your amazing pictures and the recap of your adventure! 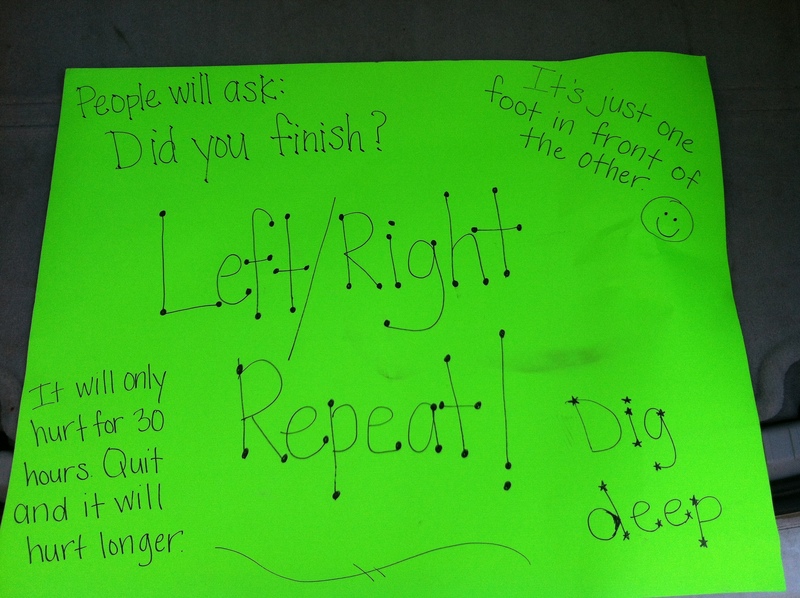 Dig Deep! Great lessons learned and you’re walking away a winner, and an inspiration. Kudos. GREAT effort Alex. Congratulations on already making your mind up to give at another crack. Excellent blog post. Do you need a pacer for next year? Let me know, I am always a sucker for more punishment. I haven’t done a 100 yet but I am game for anything. Really enjoyed your recap! 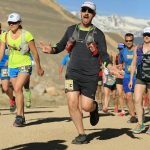 I too did the Leadville 50, followed by the 100. Amazing how the 100’s course doesn’t seem nearly as bad, but I seemed to have a horrible day myself, wanting to quit from the beginning i felt so awful, but forced myself to keep going only to miss the cut off at half pipe. You toe’d the line and pushed yourself on even when you wanted to quit. That’s what counts. Looking forward to reading about your future endeavors! Thanks Jennifer! Congrats to you on making it back over Hope Pass! Coming down the backside one of my toes about exploded so even if I had made the time at Winfield I’d probably of been cut. Enjoyed encouraging others on the way to Winfield, telling jokes, & offering my fuel. Can’t wait until next year! 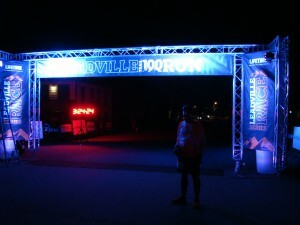 Wonderful recap Alex and thank you for sharing your thoughts on the run, and especially the L100 portion. I look forward to reading about your training for next year. I have also enjoyed observing how supportive Tanya has been through your training. Lucky you! I hope your toe is a little less painful at this point! Congrats again on pushing yourself, digging deep and finding that line to move a little further! What a race, right? Good seeing you at the top of Hope, that is a beast of a climb, especially after 40 miles. Be proud of what you did. I stopped at Winfield my first try. I know the feeling but you know what? There is always next year and now that you know the course and what to expect, it can only get better! Alex, I found one of your posts again! 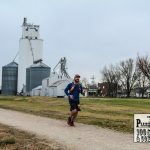 I always wondered how your run really went last year. Hey, will I see you at Silver Rush again this year, Mr. SunRype Guy? 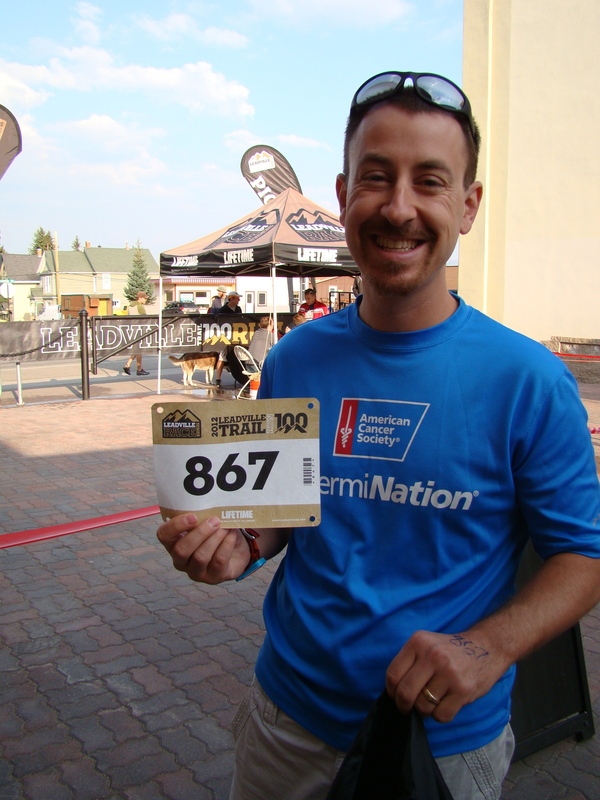 Once I scrape together the registration fee, I’m signing up for the 50-mile pain again. I’d really like to do better than last year, and possibly better than the year before. My training will be…odd, so I’ll just have to see how it all goes!